Added on 23 October 2018 . By Olivia Cheves. 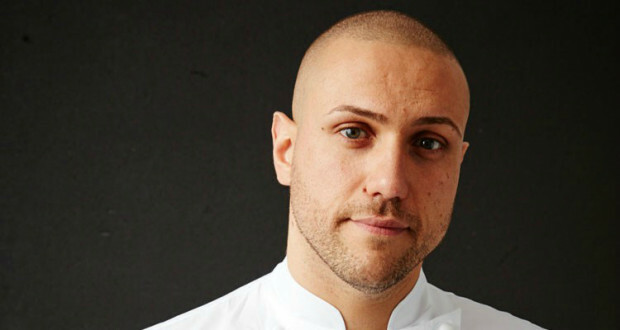 The first solo venture from Babbo chef Carlo Scotto, Marylebone's Xier is a tale of two restaurants. Split between the high-end Xier upstairs and more casual dining destination XR downstairs, the plates being set down on all tables will showcase Scotto's love of global cuisine with a European bent. While the 62-capacity XR will boast some very stylish dishes, such as Yellowfin tuna tartar and aubergine caviar, it's upstairs in Xier where the magic really happens. With space for just 38 diners, the more high end of the two eateries sees the most impressive dishes in Scotto's repertoire coming in to play. Taking part in the chef's 10-course tasting menu, customers can feast on delicacies such as Obsi blue prawns, or rose-cured salmon with foie gras, burnt figs and a citrus dressing.